​​ There are a wide range of retirement homes that provide care and services for residents with varying needs. Retirement homes can provide residents with housekeeping, meals, and laundry. They may also provide assistance with bathing, dressing, medications, general support, nursing, wound care, supervision and other services. Retirement homes are privately owned and operated. They are regulated and licensed, but they do not receive funding from the government. People reside in retirement homes as tenants under the Residential Tenancies Act, 2006, and residents pay directly for the care services that they choose to receive. Each retirement home offers different services at different costs. You must apply directly to a retirement home for admission. We encourage you to discuss your specific needs with a representative from each of the homes in your desired community. 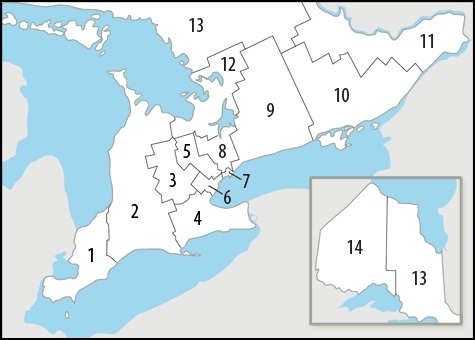 The Retirement Homes Regulatory Authority maintains a searchable registry of all licensed retirement homes in Ontario under the Retirement Homes Act, 2010. The site can help you identify the retirement homes in your community, learn about the services available and read the reports of any inspections that have been carried out. You can also contact the Ontario Retirement Communities Association (ORCA) directly at 1-800-361-7254 for a copy of their handbook or visit their website. Your Care Coordinator can provide you with information about retirement homes in your area, help you assess your options and help you determine the most appropriate housing option.